Save yourself the trouble of using any ordinary converter tool to Transfer Mac Mail to Outlook 2019. Go with the premium tool available at your disposal making it all easier, smarter and efficient. 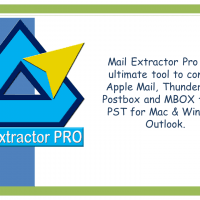 Mail Extractor Pro is your tool. 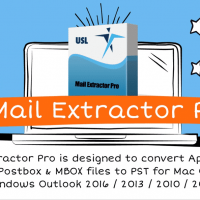 Mail Extractor Pro: The most all-round solution for converting Apple Mail to PST, Mozilla Thunderbird to PST, Postbox to PST and MBOX to PST for Mac & Windows Outlook. 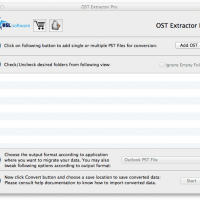 Mail Extractor Pro is the product from the house of prestigious USL Software. The tool offers you the most exclusive and top of the line features that make the whole technical process of Transferring Mac Mail to Outlook 2019 simpler. The tool has got the Power, Precision and the delicate touch that is required to help you out with the conversion process even if you are new to it. One of the major problems that you face with your ordinary converter tool while Transferring Mac Mail to Outlook 2019 is of data loss or incomplete conversion. You have to go multiple rounds just to get the conversion process completed. And still there is no guarantee that result produced will be of your choice. With Mail Extractor Pro all these kinds of problems get eliminated as the tool automates the process of loading up of email database file. This solves the problem of data getting left behind. Since the whole process is automated there is zero human intervention which reduces human prone errors and makes the whole process error free. When it comes to conversion of data present in your input file as you Transfer Mac Mail to Outlook 2019, the tool converts everything present solving the problem of data being left unconverted. The precision that the tool offers makes the output file produced a exact replica of the input file. This makes operations like debugging and navigation easier and efficient. Accuracy to a converter tool is what mileage to a vehicle. A converter tool with less accuracy doesn’t produces the results that you hope for. Well, with Mail Extractor Pro you get the tool with the best conversion accuracy in the town. The tool converts everything present in your input file when you Transfer Mac Mail to Outlook 2019. The tool deals with all the encoding schemes, data formats and nesting of all kinds, thus giving you the ultimate conversion experience. The interface for a software tool is equivalent to first impression that a human being has. Sometimes it is the deal maker or breaker. In Mail Extractor Pro’s case it is the ultimate feature that makes it stand out of the crowd. The interface of the tool is simple, clean and efficient. It only offers what is necessary for the conversion process to take place and even guides you through each step with informative wizards and dialog boxes. This interface makes Transferring Mac Mail to Outlook 2019 a very pleasant experience. Download the free trial of the tool today and get started with your conversion processes. Get it today and export Apple Mail to PST file for Windows/Mac Outlook.